When Fairhope drivers want a vehicle that stands out, they opt for the Land Rover Range Rover Evoque. This vehicle is packed with technology and performance features that ensure you have everything you need while you hit the road. On the Land Rover technology side, the Land Rover InControl system brings infotainment to the forefront, as this vehicle streams music, improves contacts, offers information, and more. For Land Rover performance, you’ll enjoy a 2.0L engine with direct-injection for improved turbocharging and rich acceleration. Nolita Gray Metallic 2020 Land Rover Range Rover Evoque First Edition AWD 9-Speed Automatic I4 Adaptive Dynamics, 21" Style 5078, 5 Split-Spoke, Gloss Silver, Configurable Dynamics, Car Care Pack, Rear Seat Convenience Pack, Interior Protection and Storage pack, Wheel Protection Pack Chrome Locks. Recent Arrival! 20/27 City/Highway MPG Let the team at Joe Bullard introduce you to an entirely new kind of car-buying experience. You will love doing business with us no matter where you live! If you’re looking for your next Land Rover or Jaguar we have them! We stock over 200 pre-owned cars including all makes and models to fit your lifestyle! We have your next used car, truck or SUV and something for every taste and every need. If you want peace of mind our Certified sales staff and technicians are here to help! We offer a variety of financing opportunities! If you are asking yourself what is my trade worth, we can help you answer that too! Servicing the Mobile Alabama area and we ship to anywhere in the US! We stand up to what we say and its simple! The customer comes first! Visit us at any of our locations or 24/7 at www.joebullard.com. Indus Silver Metallic 2019 Land Rover Range Rover Evoque HSE 4WD 9-Speed Automatic 2.0L Turbocharged Luxury Seating Package, 20" 5 Split Spoke Sparkle Finish Alloy Wheel, Adaptive LED Headlights w/LED Signature, Driver Assistance Plus Package, Head-Up Display, SiriusXM Satellite Radio & HD Radio. 22/29 City/Highway MPG Let the team at Joe Bullard introduce you to an entirely new kind of car-buying experience. You will love doing business with us no matter where you live! If you’re looking for your next Land Rover or Jaguar we have them! We stock over 200 pre-owned cars including all makes and models to fit your lifestyle! We have your next used car, truck or SUV and something for every taste and every need. If you want peace of mind our Certified sales staff and technicians are here to help! We offer a variety of financing opportunities! If you are asking yourself what is my trade worth, we can help you answer that too! Servicing the Mobile Alabama area and we ship to anywhere in the US! We stand up to what we say and its simple! The customer comes first! Visit us at any of our locations or 24/7 at www.joebullard.com. Fuji White 2019 Land Rover Range Rover Evoque SE 4WD 9-Speed Automatic 2.0L Turbocharged Perforated Windsor Sport Leather, Dark Sport Textured Trim, Cold Climate Convenience Package, Heated Front Seats, Heated Steering Wheel, Heated Windshield & Washer Jets, Surround Camera, Wheels: 20" 5 Spoke w/Shadow Chrome Finish. 21/29 City/Highway MPG Let the team at Joe Bullard introduce you to an entirely new kind of car-buying experience. You will love doing business with us no matter where you live! If you’re looking for your next Land Rover or Jaguar we have them! We stock over 200 pre-owned cars including all makes and models to fit your lifestyle! We have your next used car, truck or SUV and something for every taste and every need. If you want peace of mind our Certified sales staff and technicians are here to help! We offer a variety of financing opportunities! If you are asking yourself what is my trade worth, we can help you answer that too! Servicing the Mobile Alabama area and we ship to anywhere in the US! We stand up to what we say and its simple! The customer comes first! Visit us at any of our locations or 24/7 at www.joebullard.com. 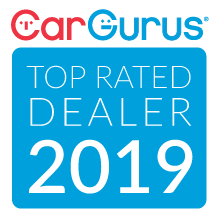 Corris Grey 2020 Land Rover Range Rover Evoque SE AWD 9-Speed Automatic I4 Interior Protection and Storage pack, Rear Seat Convenience Pack, 14-Way Heated Memory Front Seats, Ebony Morzine Headlining, P250 Badge, Black Contrast Roof, Premium LED Headlights w/ Signature DRL, Auto High Beam Assist (AHBA), 14-Way Electric Front Bucket Seats w/Memory, 360 Degree Surround Camera, 380W Meridian Sound System, Auto High-beam Headlights, Black Exterior Pack, Black Gloss Mirrors, Blind Spot Assist, ClearSight Interior Rear View Mirror, Configurable Ambient Interior Lighting, Demo Specification Pack, Electrically Adjustable Steering Column, Exterior Parking Camera Rear, Fixed Panoramic Roof, Front Bucket Seats, Gloss Black Grille, Grained Leather Seat Trim, High-Speed Emergency Braking, Keyless Entry, Narvik Black Bumper Lower Valance, Powered Gesture Tailgate, Premium Carpet Mats, SiriusXM Satellite Radio & HD Radio, Wheels: 20" 5 Split-Spoke Gloss Black (Style 5079). Recent Arrival! 20/27 City/Highway MPG Let the team at Joe Bullard introduce you to an entirely new kind of car-buying experience. You will love doing business with us no matter where you live! If you’re looking for your next Land Rover or Jaguar we have them! We stock over 200 pre-owned cars including all makes and models to fit your lifestyle! We have your next used car, truck or SUV and something for every taste and every need. If you want peace of mind our Certified sales staff and technicians are here to help! We offer a variety of financing opportunities! If you are asking yourself what is my trade worth, we can help you answer that too! Servicing the Mobile Alabama area and we ship to anywhere in the US! We stand up to what we say and its simple! The customer comes first! Visit us at any of our locations or 24/7 at www.joebullard.com. 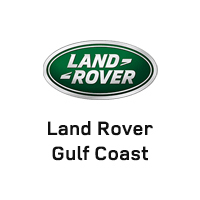 In order for Destin drivers to truly appreciate the Land Rover Range Rover Evoque, you need to see it for yourself at Land Rover Gulf Coast, located at 1419 E I-65 Service Road S in Mobile, AL, or contact us at 844-334-3146. How Much Is a 2019 Range Rover?